Before you send your children back to school, you probably make sure they have all the right school supplies, clothes, and shoes. You may even schedule an appointment with your child’s pediatrician to make sure they’re healthy before they start a new year, but did you ever consider scheduling a dental checkup before the school year starts? Some schools in the area require dental check-ups at various grade levels. East Islip Dental Care encourages you to schedule a back to school dental checkup and cleaning for your child today. Contact our friendly staff to request an appointment, or find out more about our dental care services today. 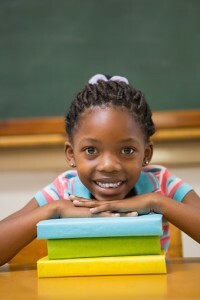 You don’t have to take your child out of school for the regular checkup so they never fall behind in their class work. Before the hustle of the school year starts to fill up every hour of the week and weekend, make sure your child’s dental health is at its very best. You know what they eat and drink at your home, but when they go to school, they have the freedom to choose less healthy, smile friendly foods. Making sure their teeth are clean and healthy before the school year starts can help put your mind at ease. For little smiles that are prone to decay, we may recommend a dental sealant to keep out bacteria especially on the deep crevices of back teeth. These sealants are made of resin material that seals your child’s teeth and helps to prevent bacterial colonization. To fortify a usually healthy smile before taking on a new school year, we may recommend a fluoride Fluoride helps improve tooth enamel by attracting other minerals that strengthen the teeth. If your child is participating in athletics, we offer customized mouth guards that often fit more snugly and comfortably than those available over the counter, and offer optimal protection from any potential traumatic injuries. Our hygienists will take the time to review best at-home brushing and flossing techniques with your child, and remind him that no matter how busy his days are with school and fun activities it’s important to spend at least 2 minutes in the morning and 2 minutes at night brushing, and floss once a day. Whether you want to make sure your child has a healthy smile before they head into a new school year, you want to schedule checkups for the whole family, or you need other restorative or cosmetic dental care, East Islip Dental Care is here. Call (631) 581-8600 to schedule your dental appointment today. Our East Islip, NY serves all of Long Island including Oakdale, Islip Terrace, Bohemia, Bay Shore and beyond.